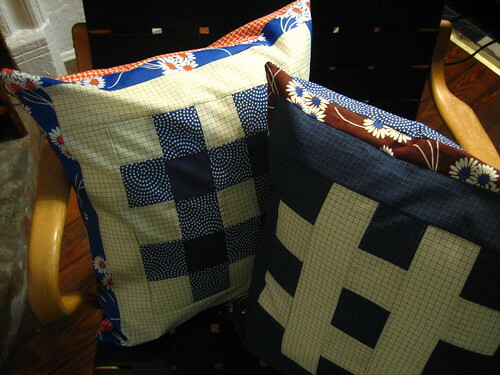 Quilted pillows have become extremely popular items over on Flickr. 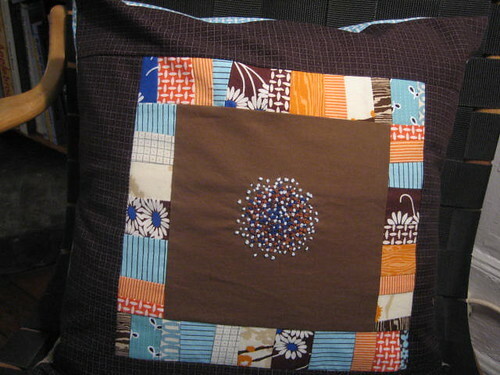 Sewists seem to love the more manageable nature of pillow projects versus full-sized quilts -- you can design and make a pillow in a single sitting, trying new techniques and fabric combinations along the way. It's (nearly) instant gratification! This trend is no doubt fueled by the wildly popular Pillow Talk Swap, an online swap that showcases pillows from some supremely talented crafters and is a neverending source of inspiration. 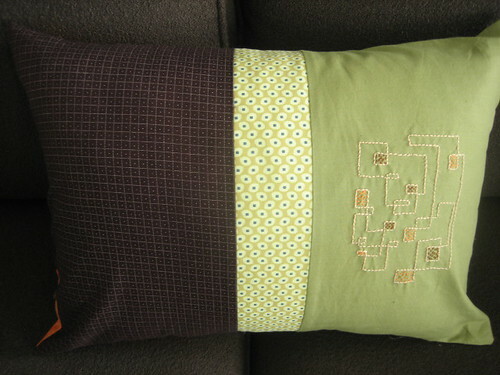 Today I'd like to highlight some amazing pillows made by Rebecca (badecca on Flickr) that feature both amazing fabric combinations and inspired touches of embroidery. I'd love to have a few of these in my home! 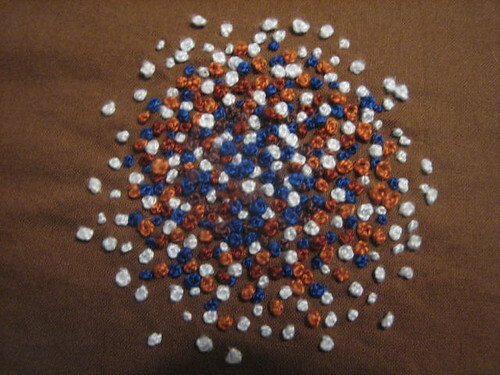 French knot bursts is a feature that Rebecca uses liberally in her projects. 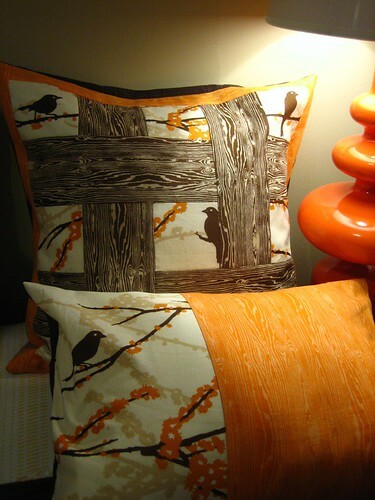 I love the dark, masculine color scheme of this pillow and the understated yet effective touch of embroidery. 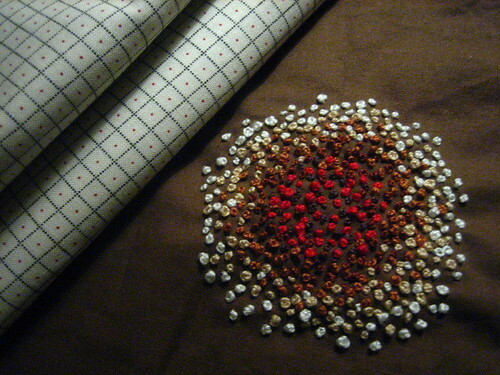 Want to tackle a quick and easy sewing project that can showcase one of your embroidered pieces? Consider a pillow! 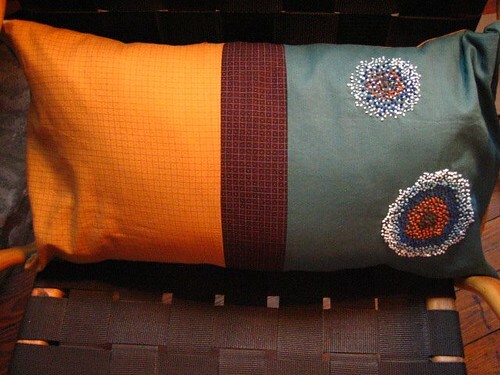 The french knots are a wonderful addition to your beautiful cushions. i love this so much! such a great idea and rebecca has some really beautiful pillows. beautiful work. I think the last one is my fav! Cute cushions but French Knots are my nemesis (nemesises? nemesi?) I CANNOT get them to work. 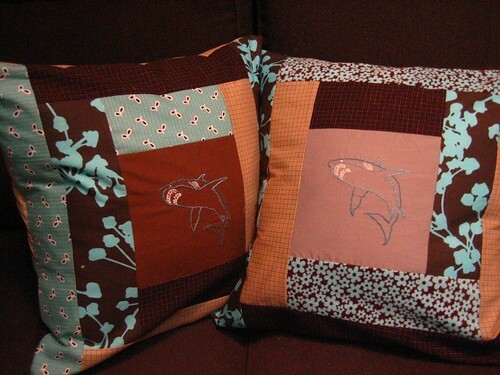 Great pillows. I really like the French knotties. It depends on your preferred design. 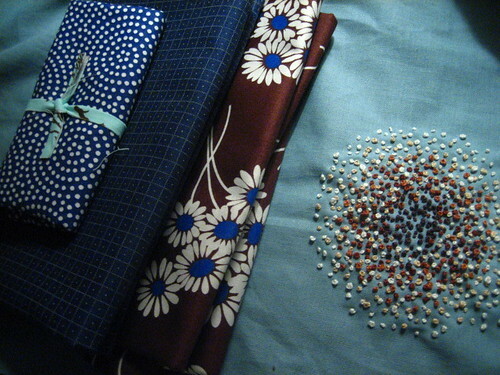 Come up with several fabric variations as well. Those are really nice pillows. I would love to buy one of those. I think they're nice.